WASHINGTON, DC – U.S. Congressman Roger Williams (R – Austin) joined Fox Business' Mornings with Maria to discuss border security, the economy, and what to expect from Congress during the remainder of the 115th Congress. CLIFTON, TEXAS – Congressman Roger Williams (R-Austin) spoke with local Clifton Rotary members this afternoon to provide an update on tax reform and business legislation. Rep. Williams was also able to discuss improvements that were made in Tax Reform 2.0, that just passed through the House last month. There's nothing quite like a Friday night in Texas - friends, family, and high school football! 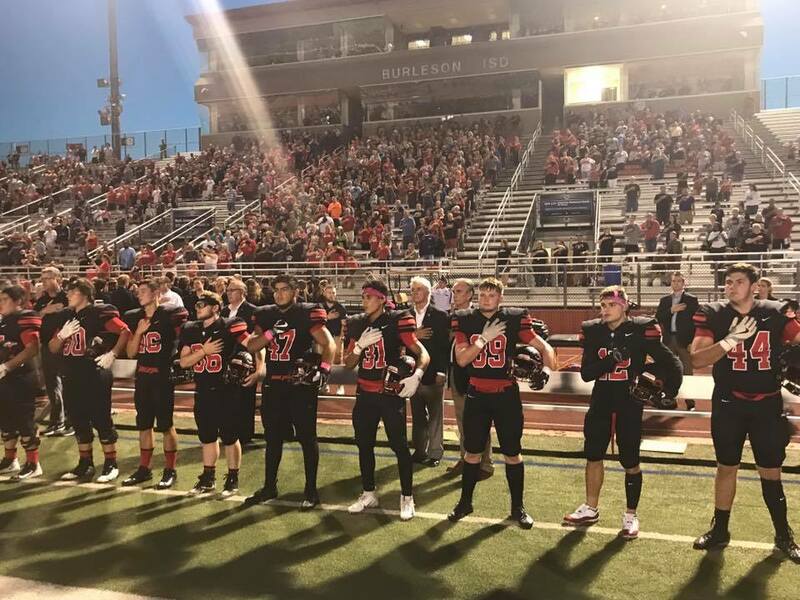 I was honored to attend the Burleson High School vs. Centennial High School football game and participate in the coin toss. It was a great game and congratulations to the Centennial football team on a hard-earned win - Go Spartans! Congressman Roger Williams who represents the 25th Congressional District of Texas earned a hat trick from the National Federation of Independent Businessrecently for his continued support of and advocacy on behalf of small businesses in Texas and across the United States. WASHINGTON, DC – Congressman Roger Williams (R-Austin), has been recognized as a “Guardian of Small Business” by the National Federation of Independent Business (NFIB) for consistently supporting issues of importance to small businesses and employees.